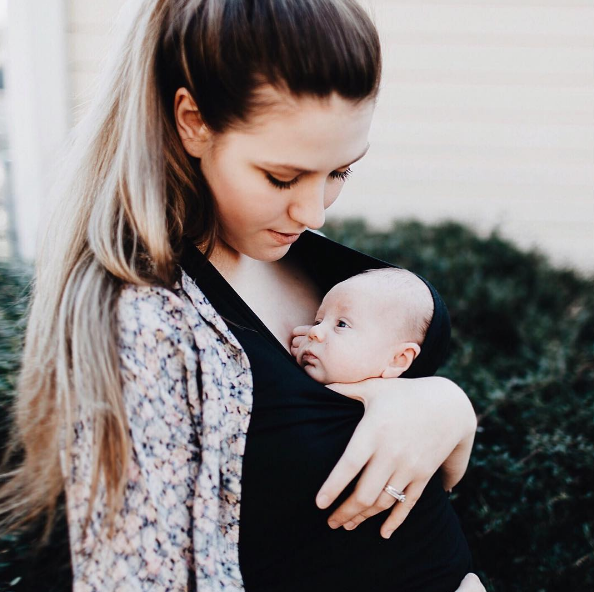 As we continue to celebrate Kangaroo Care Awareness Day, we’re grateful to share another beautiful story and perspective on skin to skin contact. This post is written by Christine Farmer, a professional photographer, writer and mama to two young boys. “From the moment a mother enters into labor… she has one goal: to have her baby to hold close against her. The single thought of her newborn infant resting upon her chest makes the whole sum of bone-shattering pain worthwhile, and the pondering of this completed mission is so powerful… it alone can ignite ambition enough to help her traverse through the task apart from any medical intervention or aid. The hope of having this small bantling child lay against her is soul-stirringly moving. And when the moment finally does arrive for her to grasp her baby in her arms and lay them upon her chest… the beauty given her to behold there is even vastly more enchanting than she ever before could fathom. For the two of them were once one together before as her babe grew and thrived within her… and now, through many tears and much toil she has bore her newborn child; and they have wandered from their familiar unity into a new shape of separate beings. For me, skin to skin contact is more than a necessary and appropriate act. Though it most certainly is that, as the health benefits found within it for the baby are abounding without measure. Beyond its physical avail though, skin-to-skin contact is a recognition of what once was… when my unborn son and I once dwelled alone together. There he felt safe, protected and whole… and I shielded him from the outside world with the purr of my heartbeat and warmth held within. Now, we are soothed together as his newborn frame rests against my chest… and we each recall here in our own way memories of once-found familiarities. In some ways, this flesh-to-flesh contact we share now will be the cornerstone to help mold our bond for years to come. This is an ancient intimacy. As the bare flesh between our frames rests against each other’s, it eludes this light sticky-sweet sweat from the heat of our bodies being joined together… and he feels guarded and treasured upon me. This niche has become his chiefest comfort… as his home to run to whenever he is feeling frightened, tired, hungry, or in pain. We flee together here from all of the distractions and the darkness outside. This place renders a certain solitude for us… it is a tender refuge all our own. Christine Farmer is a professional photographer, writer and social media marketer. She strives to use her gifts as an instrument to aid and encourage others. She currently lives in Lexington, South Carolina with her husband, Justin, and two small boys, Elijah and Judah. To view her gorgeous work, both her photography and her writing, we suggest you check out her Instagram feed.